House name and number signs. Bespoke hand carved house name and number signs are a stylish and unique way to identify your property. 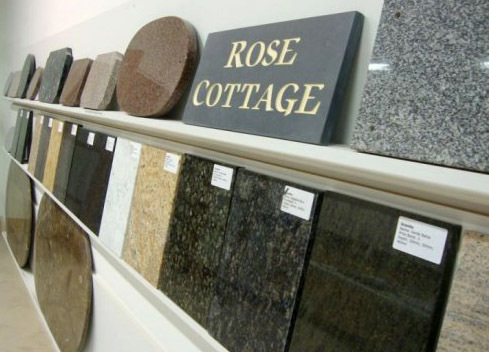 The signs can be made to any size, with any font you choose, from a variety of stones. Prices start at £75 for a small, basic sign. Please call us a call on 01453 762877 to discuss your requirements.